Do you need a change to your home decor? Would you like your interior design to be authentically embellished with modern highlights? Decorating with mosaic tiles have always been in fashion and its popularity shows no signs of waning through time. They can be incorporated in contemporary and classier interior designs alike. When it comes to the final plan concerning our personal space’s interior design, things can get a little confusing – leading us to indecisiveness and frustration (and we definitely don’t want you to be mad!). The key to a successful interior design doesn’t always aim to enhance the stylistic status of your home decor, but ultimately to augment your home value. 16th Avenue: Where Mosaic Magic Kissed San Francisco! 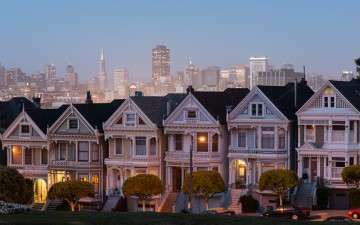 San Francisco city is one of the most liberal and artistic cities of the United States. Visiting this lively cultural center of Northern California, you find yourself wandering amongst eclectic Victorian architecture and landmarks like the infamous Golden Gate Bridge & Alamo Square. This city is literally a mosaic, comprised of colourful yet different neighbourhoods, mimicking little tiles on an artisan’s mosaic canvas – each exhibiting its own intricate artistic detail. The “16th Avenue Tiled Steps” project is surely one of the most beautiful art gems of San Francisco city that has been manufactured by the hands of local art enthusiasts, volunteers and of course, by the two ambitious artists: Aileen Barr and Colette Crutcher. Combining their artistic envision and skills with the passion of the community, mosaic staircase project was initiated in January 2003 and was successfully completed a year later in August of 2004. The history of mosaic art in Iran can be traced back all the way to the country’s prehistoric roots. Mosaic art held a special place in the heart of Iranian culture, more so than other forms of decorative art, such as carvings and brickwork. More specifically, the application of mosaic tiles constituted the dominant form of architectural decoration; hence the expertise that tile-makers attained with the passage of time resulted in intricate mosaic designs, respectable crafting skills and the optimization of the meticulous manufacturing process. 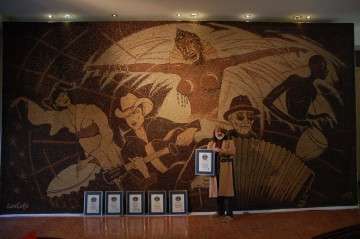 This article will be dedicated to the one of a kind artist, Saimir Strati, who has created some of the most impressive mosaic masterpieces in history. Using the most unexpected materials to create art, Strati doesn’t stop amazing the world of art with his unique artistic inventions. Saimir is an Albanian contemporary artist who has been associated with one of the most well-known artists in the mosaic art world. Ready to choose your fengshui color? 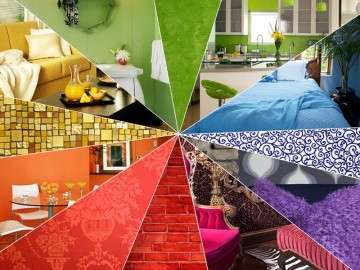 This quick and easy fengshui color guide will surely help you creating the best possible choice concerning the color customization of your entire household. It is always a tricky decision when it comes to choosing the conclusive color of a room in our house. Instantly we question ourselves: what do we want the room to express? Choosing from a plethora of colors such as vibrant pink for your living room, all the way to light shades of green for your bedroom -can cause a blatant disequilibrium corresponding to the energy of the entire living space. Fengshui is an ancient Chinese philosophical practice that shed light on the importance related to the placement of decorative ornaments or practical objects, with the intent to sustain harmonious vibrations throughout the household. A social reformer by the name of Florence Nightingale vividly expressed this very essence later in the 19th century– “the objects and color in the materials around us actually have a physical effect on us, on how we feel”. By using the right color in an interior and exterior space can potentially reveal an extraordinary calming effect on the human mind that creates inner strength and self-confidence. Utilizing colors according to the fengshui philosophy will blossom the interior design of your personal space, whilst simultaneously creating a balanced atmosphere that energizes your home with harmony and coziness. In this article we will explore the influence of each color and will give you a couple of tips to assist you in defining your dominant color, to ultimately create a vibrant atmosphere that will make you feel right at home by harmonizing everyone with the surrounding environment. It’s the most wonderful time of the year. Yep, that’s right.Black Friday is finally upon us and it brings with it an irresistible amount of deals available for those looking to get started on their early holiday shopping. Yes, It is the perfect time to get a jump start on your holiday shopping! Wondering how you can get your hands on the best deals and discounts? 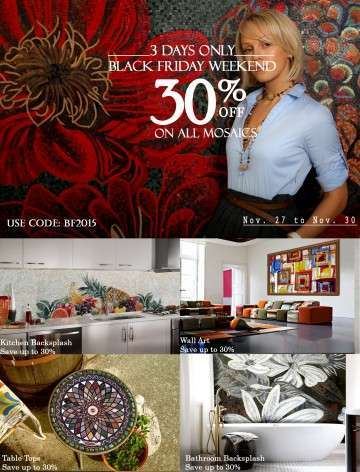 Below are 10 Black Friday deals that are worth checking out!